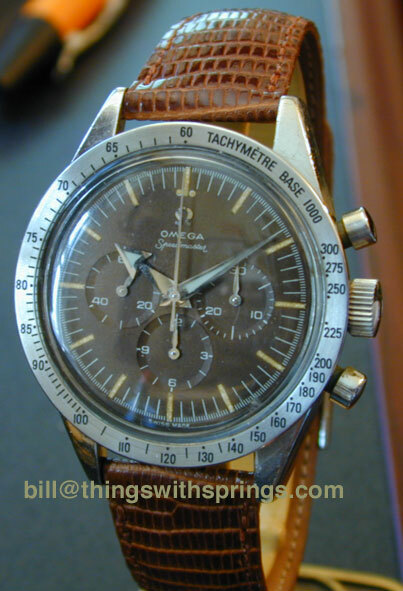 Why should I carefully examine the hands when looking at vintage Speedmaster chronographs? 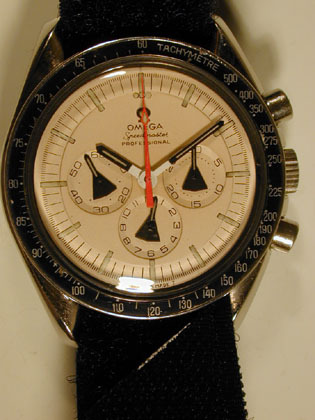 When purchasing a vintage Omega Speedmaster Professional or (pre-Professional) watch, a.k.a. 'Moonwatch', there are certain parts on the watch that you have to give some extra attention when examining it to determine if they are original to the watch. 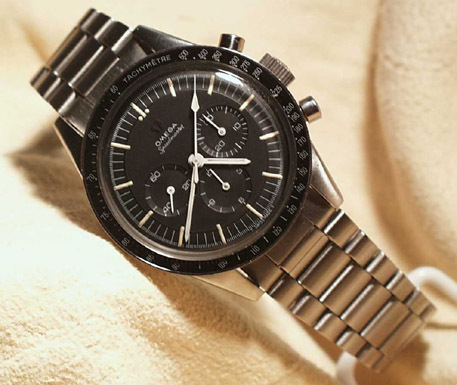 It is impossible to state that if the Speedmaster watch in question is 100% original based on the chronograph second-hand, but it is just one of those things that can help identifying an original Speedmaster watch. You do not want to have a year 2001 model second-hand on your '60s Speedmaster, do you? Which hand are we talking about? The large second-hand that is used for the chronograph function of the watch. The silver center chronograph second hand on the first picture of this article (above). Let's start with the first Speedmaster ever made, the CK2915. 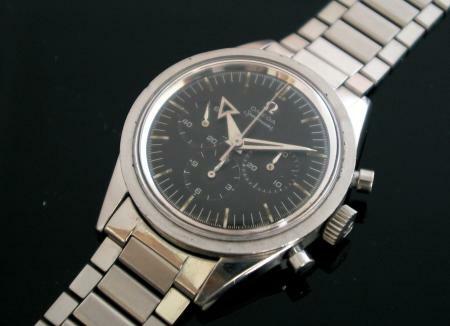 All hands are silver, including the chronograph second hand. The small end has a straight cut-off and the top of the long end has no pointer or whatsoever. The second model that Omega has made, the CK2998 (1959), used another set of hands (among other changes such as the bezel). Another shaped big second-hand, it is cut-off at the small end and colored white instead of 'steel'. This watch is original. The next model was the 'new' CK2998, produced till 1964. 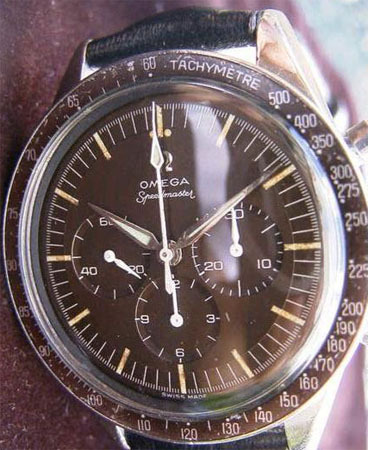 On these first Speedmaster models, all prior to the addition of "Professional to the name, Omega used a lot of different hands as you can see. So it is hard to get a definitive answer if your watch/dial is original. Sometimes even Omega can't answer this question for you in all instances. The next models I want to show you are a ST105.003 (1965) and a ST145.012 (1967-1968). The model after the ST105.003 is a ST105.012. There are some differences between the ST105.012 and ST145.012, but these are not relevant for this article about 'hands'. Besides the crown-protectionguards, added 'Professional' and some other things, you can see that the hands are changed again. This chronograph second-hand is also the one seen on the previous ST105.003, ST105.012 and the second CK2998 models. If you have one of these watches with a newer chronograph second-hand, you may have some trouble finding an original one, as Omega doesn't have them in stock anymore. 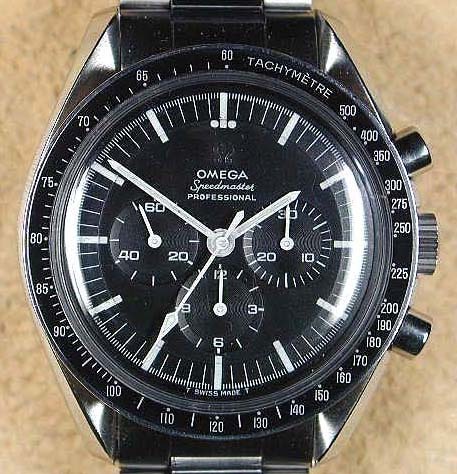 I have a watch like this and the chronograph second-hand has some spots on it, but I rather have an 'aged' one, than a new but incorrect hand on it from the 3570.50 shown below. The next watch is a new Speedmaster Professional dated 1999, the ref. 3570.50 model. Since 1968, Omega uses this set of hands on their model ST145.022 till all current models. Like the one pictured above. You could say that with the change of the movement from the Lemania based calibre 321 to the Lemania based calibre 861, it also included the chronograph second-hand. However, as I said before, sometimes even Omega messed up the models. Where to get a new set of hands? You can order a new set of hands at your Omega dealer for around $50 USD, they even will put them on your watch for you. However, remember that Omega doesn't (always?) 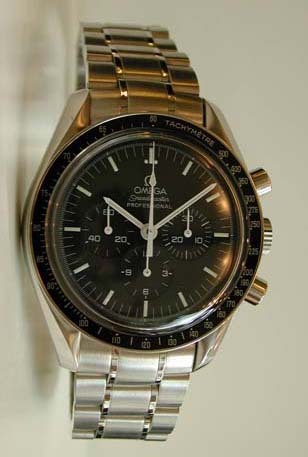 have old type of hands in stock and that they will put new hands on your old/vintage Speedmaster without asking. Please be very clear on this with your Omega dealer/watchmaker. Other articles on identifying vintage Speedmasters? Ofcourse, you can find a lot of nice articles on the subject written by Chuck Maddox, at Eric Katoso's website or at my own website. Also check-out the NOSPOC, Dutch Speedmaster Club (international) at www.speedmaster.nl. If you have any comments about this article, or questions ofcourse, don't hestitate to contact me at robertjan@omega-addict.com. I am always open for any suggestions or changes if things are incorrect. Note : The Speedmaster below, the 'rare' one, is a prototype Speedmaster from 1972. According to Time Capsule by Imai the left small hand should be a black 'normal' shaped hand. So it is unknown if the shown configuration is original. I thought it would be fun to show it to you. Note 2: Thanks to all the guys in the TZ Omega forum (Chuck, Tony, Mike) for your suggestions and comments. 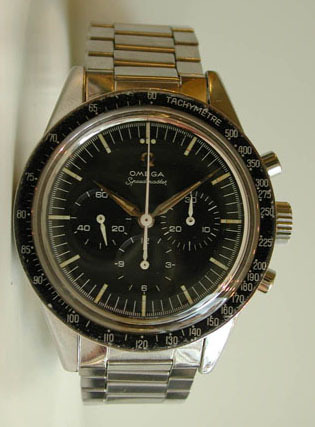 Also thanks to Gerard Nijenbrinks for correcting me on one of the Speedmaster models. Note 3: Thanks to Chuck Maddox for proofreading (and correcting) it.